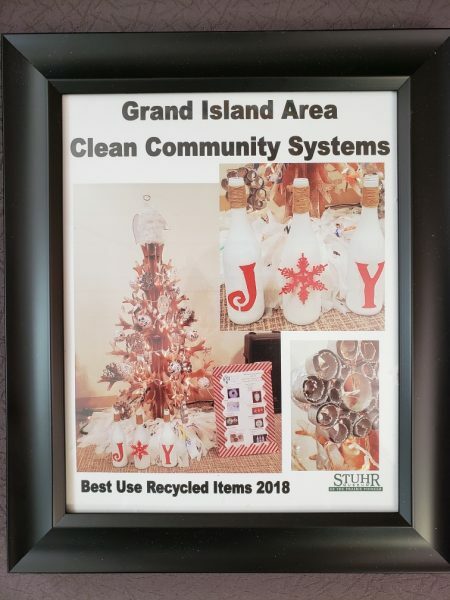 We owe a big thank you to Stuhr Mueseum, who voted us “Best Use of Recycled Materials” for a second year in a row! This award came from their 30th annual Fantasy of Trees in 2018. Way to go team!